Have you ever felt stuck in your journey? Like your not moving fast enough or you are starting to doubt yourself and your potential? I am right here with you guys! I go through many seasons in my life or self doubt, second guessing myself and asking God what am I supposed to do in my life? But I step back, reflect, pray, meditate and look for the gratitude in those times. I firmly believe that every season, every job, every moment, every obstacle is getting you ready and will lead you to your purpose. Every step in my journey towards blogging taught me something that I can implement into my business and grow my blog. In college I graduated with a bachelors in Journalism and toke writing, public speaking and tv production classes. After college I dabbled in free lance makeup and really practiced and tried to learn the craft. After that my husband got into photography because I needed him to take headshot for my models because at the time I had a lot of ambitions and goals to grow in the beauty industry. Around that time I wanted to start a blog so in 2014 I started blogging and my husband was taking my photos and grew a real passion and wanted to invest and upgrade his equipment. All those things cost money and I was still working full time but I was making little money. I landed a new job that made way better and although I am not fulfilled with this job the extra money helps me invest in my blog, my equipment and my investments. It is helping me pay off my debt and create a financial plan that so when that season comes that I quit my full time to blog I will have a plan and savings. These experiences in my life have taught me valuable lessons and tools to prepare me for this industry. I find gratitude for these seasons because although I don't want these jobs but they will be the things that will lead me to my purpose. Gratitude! We all have the ability to live a purposeful life because we all have gifts. Our gifts are unique to us because we are all made unique in the eyes of God. You have to see it and use it. Since I was little I was always into the arts and literature. I loved plays, acting, makeup, drawing, reading, tv production and creating. My brain and spirit was always stimulated by these things. Now sometimes we might get it wrong! You might at some point that you want to be an actor but those acting classes and plays might be preparing you for another career but I will touch more on this below. Life gets busy and tough times can throw our world upside down. But in these moments find a quiet moment and a quiet room to reflect. Close your eyes and think about the things that made you happy in life. Maybe you are overthinking too much. Don't put too much pressure on yourself that you need to find your passion right away. You have to find your way to it but the key is to take action and work towards it. Kick those fearful and shy thoughts out the window because it is the enemy filling your head with thoughts to block you from fulfilling your purpose. If you want to start a blog start it today and jump on Blogger or WordPress and post your first blog post. If you want to start a business, open your phone or computer browser and type this in the url GOOGLE! We are a blessed generation that we have the greatest resource: The Internet! Once you make that first step you will begin to feel motivate and watch how you will quickly get the ball rollin and your spirit will feel ambitious. Your vision needs clarity, goal settings and visualization. By creating this you are setting your plan in motion and you are implementing the direction that you want to go. Pray about these thoughts and images and send these requests into the universe. Put them on display! I love to fill my mind with resourceful books and podcasts. I am constantly listening to educational and motivational podcasts and reading positive uplifting books to inspire me. This will help you fight negative thoughts of comparison, losing focus and self doubt creeping back in. You are what you fill your mind and thoughts with. Fill your tank with positive, constructive information and find rescues that will help you learn and grow in your passion. Don't be surprised or defensive if something might not turn out the way you thought or desired. When you finally take action towards your passion you might discover through engagement that this is not your passion. The best part is that is okay! That is part of finding your passion. Being proactive brings clarity and direction towards your passion. For some they find their passion right away but that's not the journey for all. Some of us have to find our way but embrace each moment and learn from it. Be in the moment and be a sponge and learn all that you can in that moment. This is a reflective process and will be a story of growth and change in your life. Most important you are not alone in this process. I go through it and many of us do. Collaborating and cultivating a community is important to push and encourage one another. 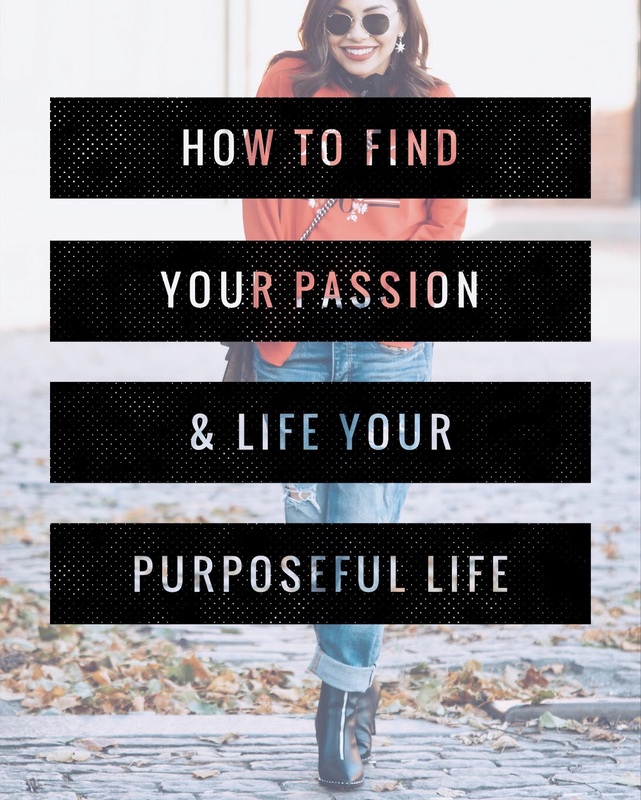 I hope these tools help those of you struggling to find your passion. If you have any other tips please share them below for others. I want to see you all succeed and live your best LIFE!